The first doily that serves food and provides a lovely table decoration between meals. Description: This platter is food, dishwasher, microwave, and oven safe. 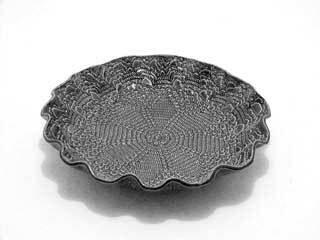 This platter in approximately 13 inches diameter and 2 inches high and has fluted edges to enhance design.